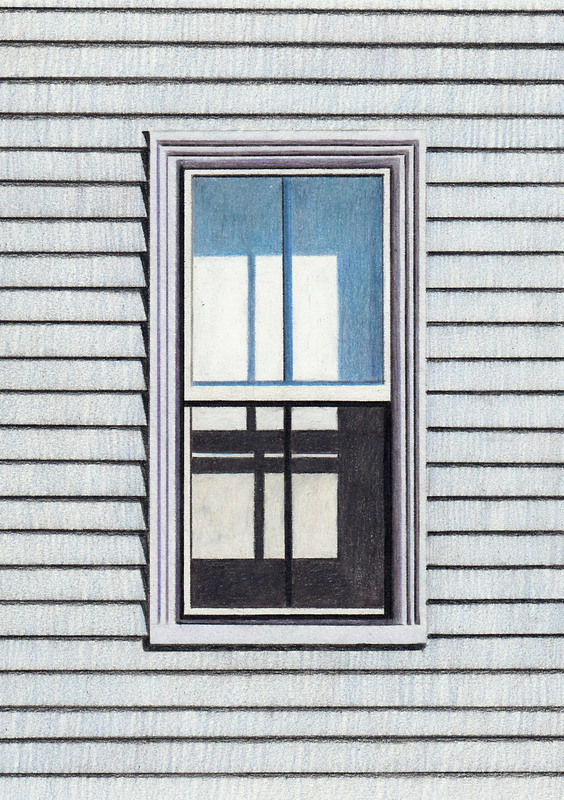 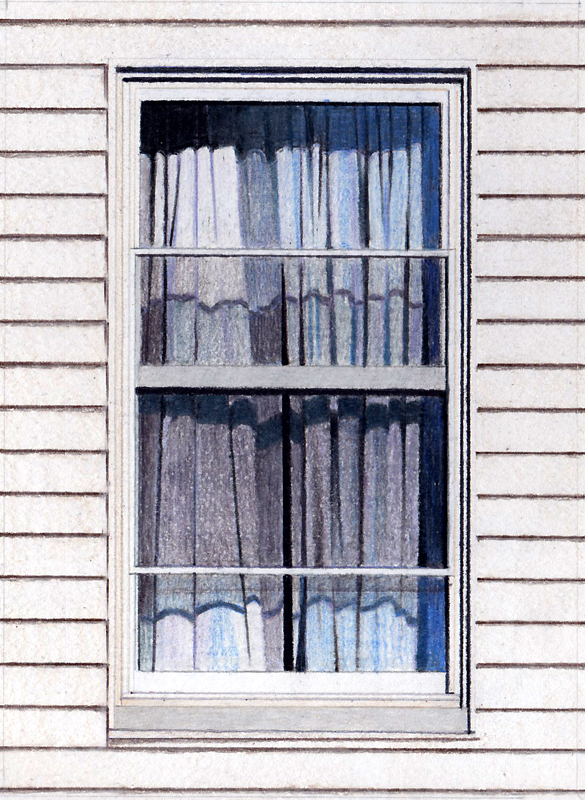 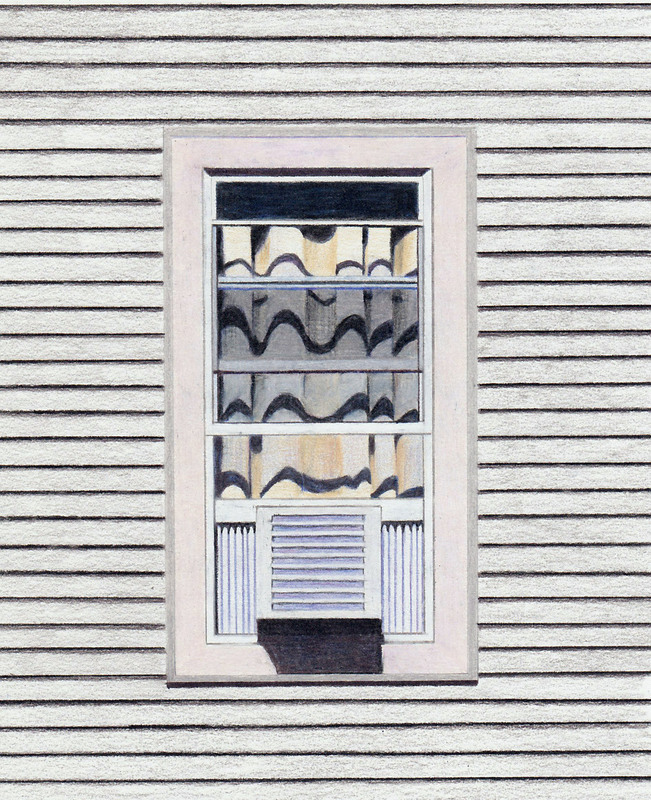 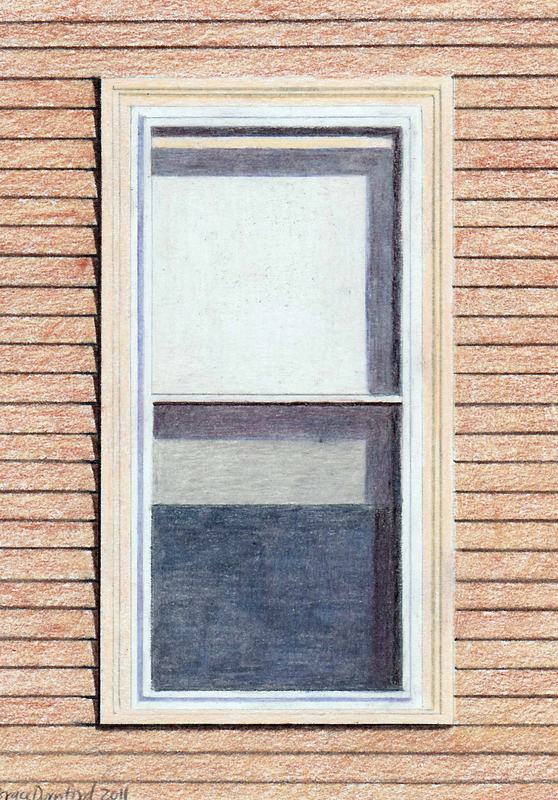 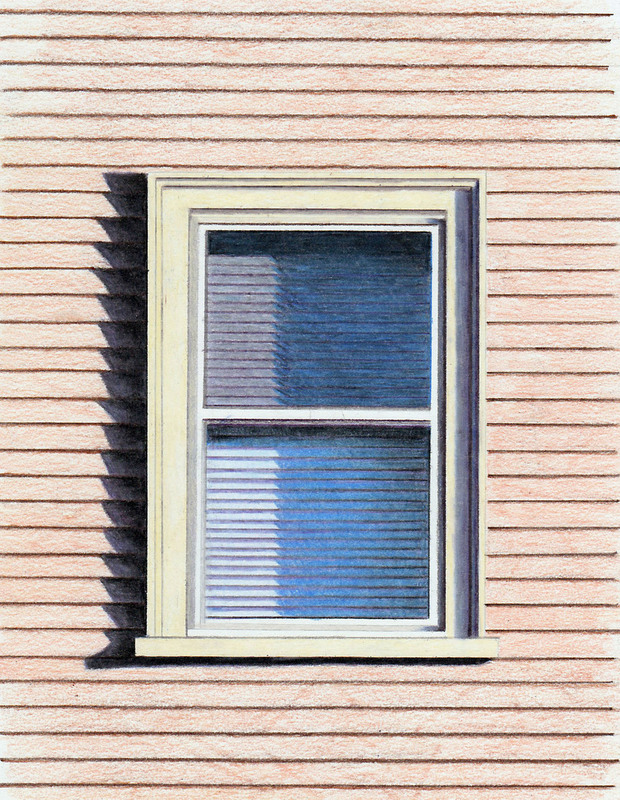 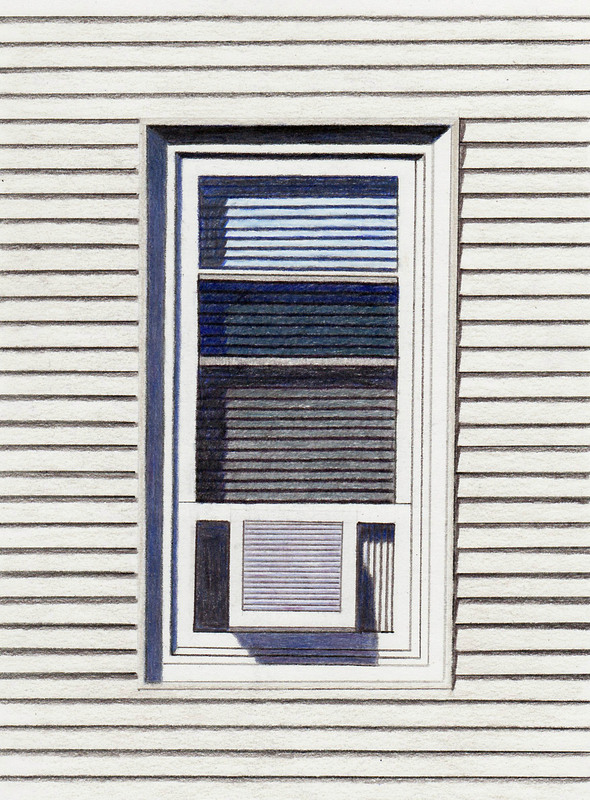 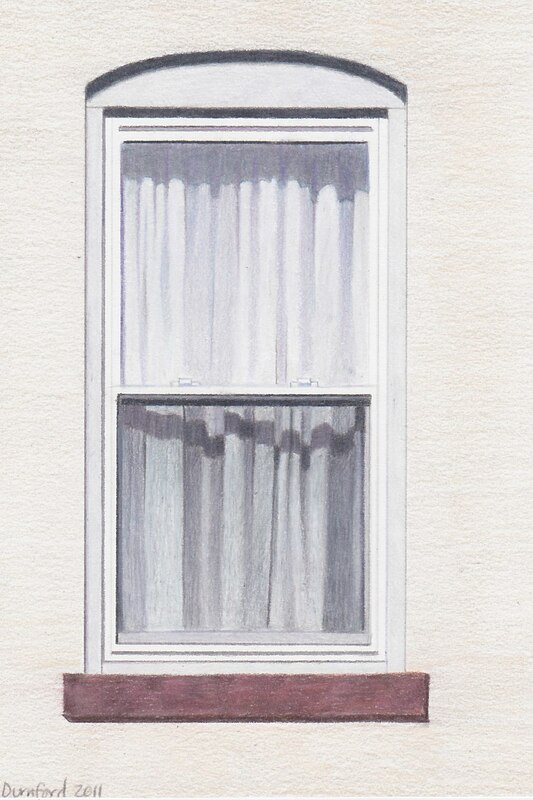 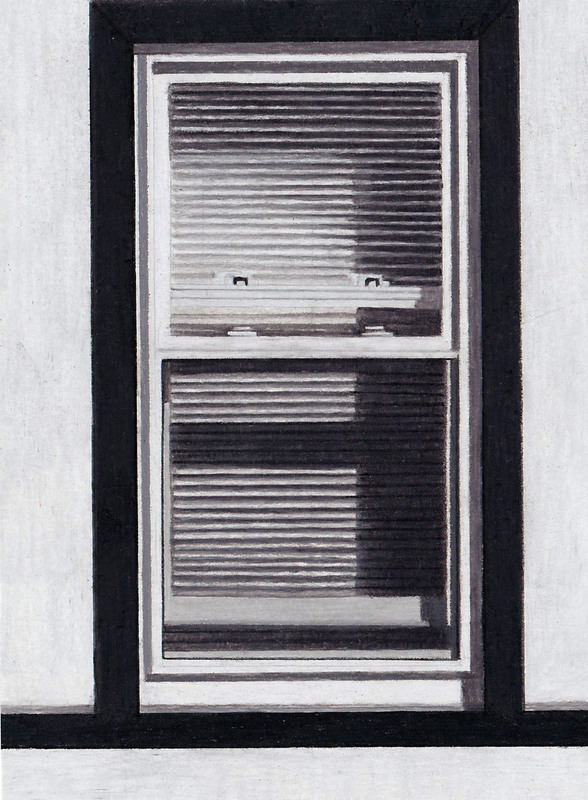 Further examining the shapes and forms found in local architecture this collection of color pencil drawings focuses on the myriad subtle variations found in windows. 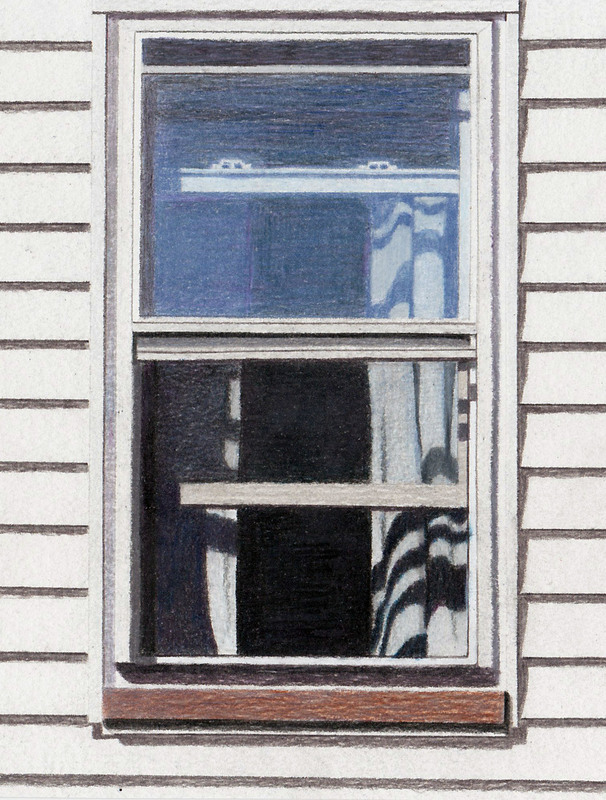 While the images stand alone as beautifully rendered and technical precise reproductions of actual buildings they also serve as metaphors for the relationship between the internal world and external self. 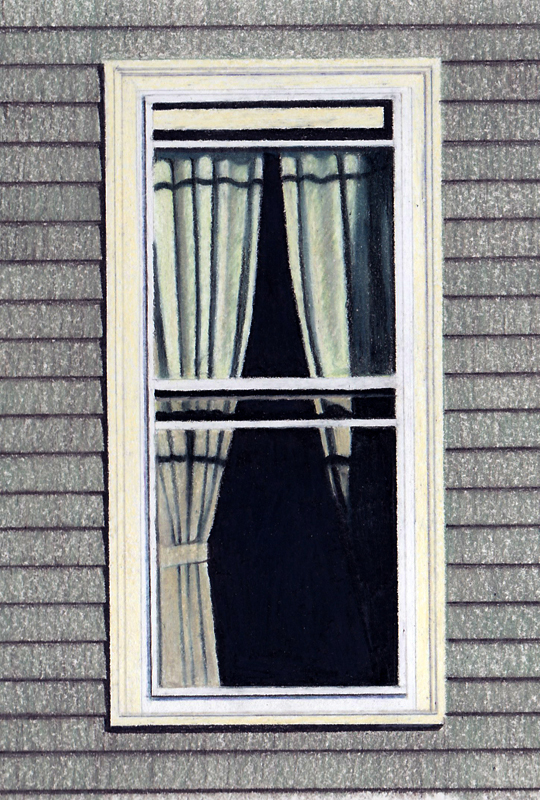 To those inside a window offers a view of the outside world; to those outside it gives a glimpse of the private life going on within.